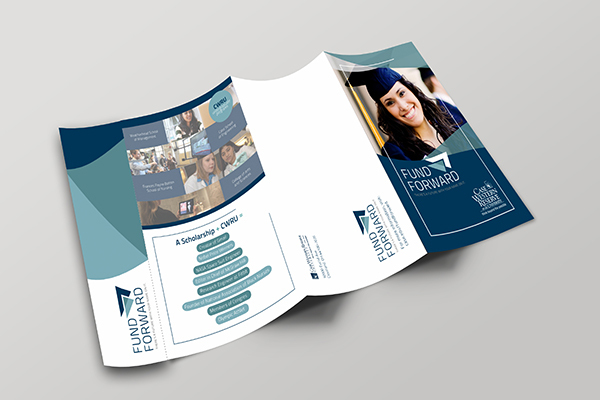 The Undergraduate Scholarships of Case Western Reserve University became “Fund Forward.” With a bold strategy, new name, look, and touch-points, they have increased their REACH to successfully expand fundraising efforts to a younger demographic. 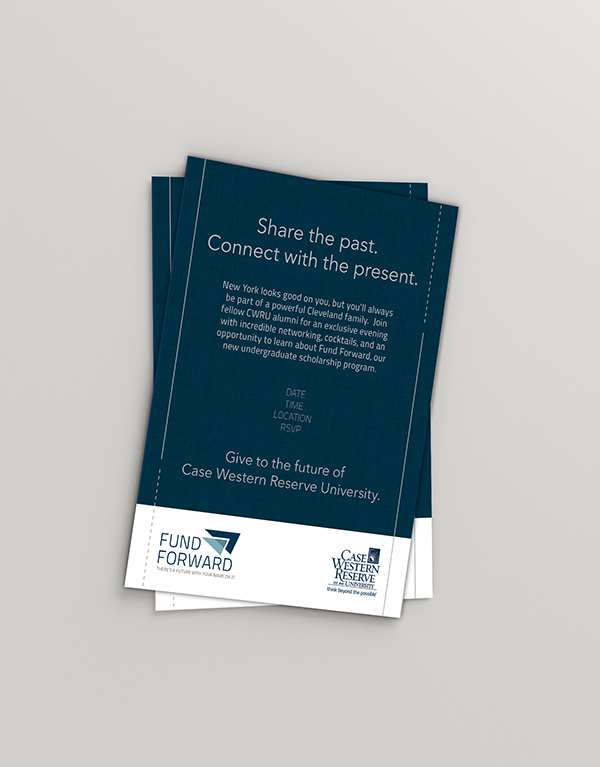 Originally known as the Undergraduate Scholarships of Case Western Reserve University, Fund Forward is the ground breaking undergraduate scholarship campaign that creates meaningful relationships, mentoring, and student success, by pairing a donor with a student to provide part or all of their tuition. 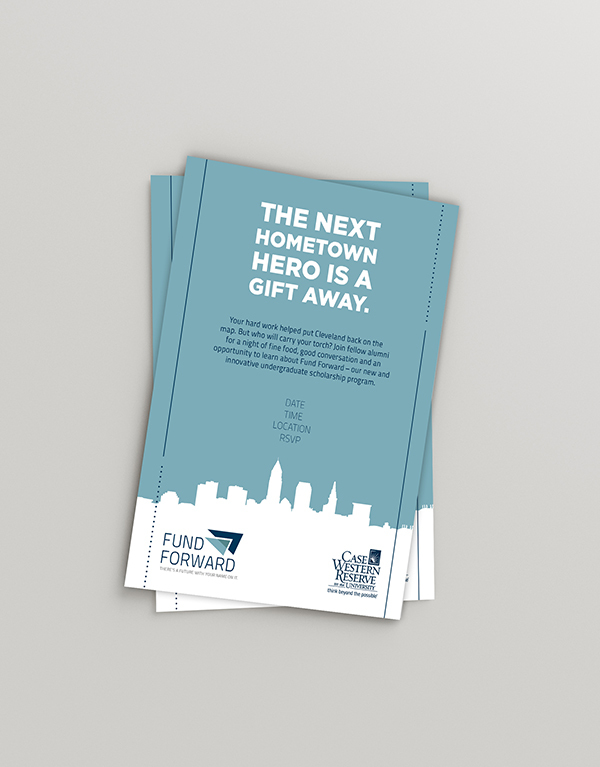 Wanting to target a new demographic we were tasked with developing a brand and brand name that would resonate with new donors. 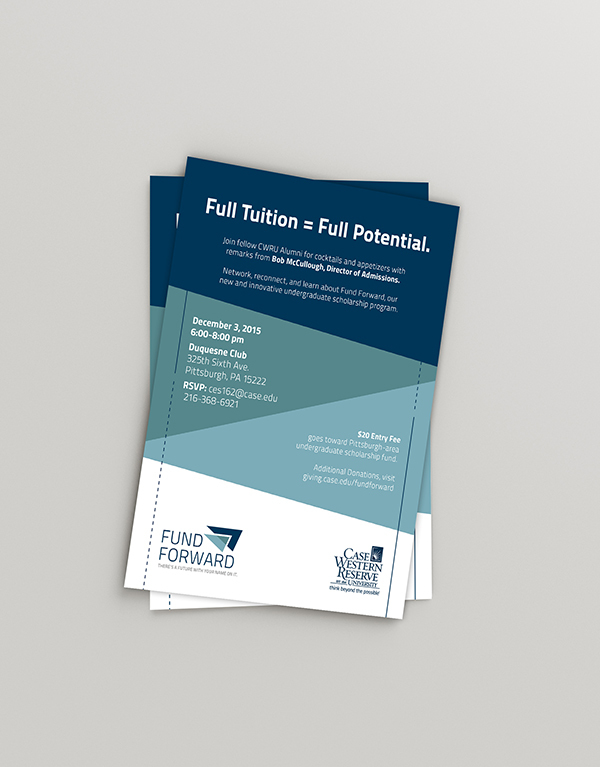 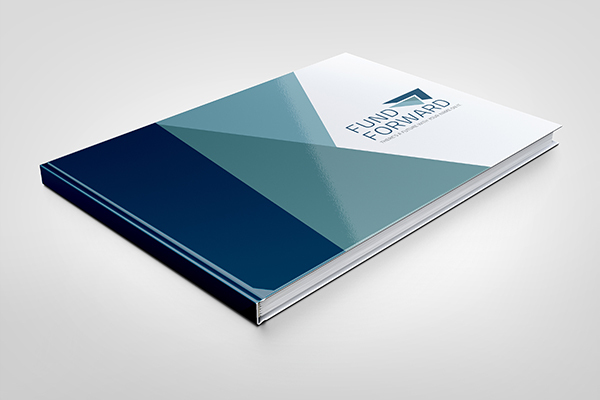 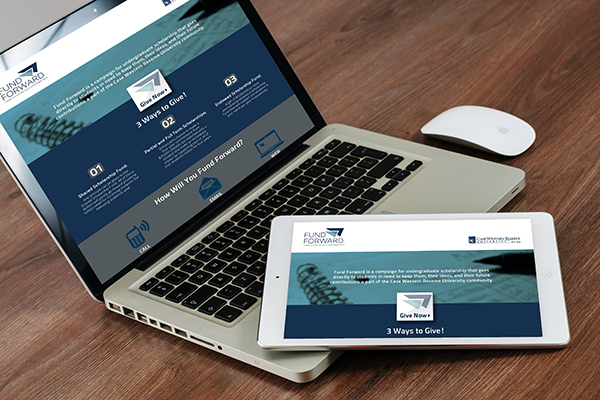 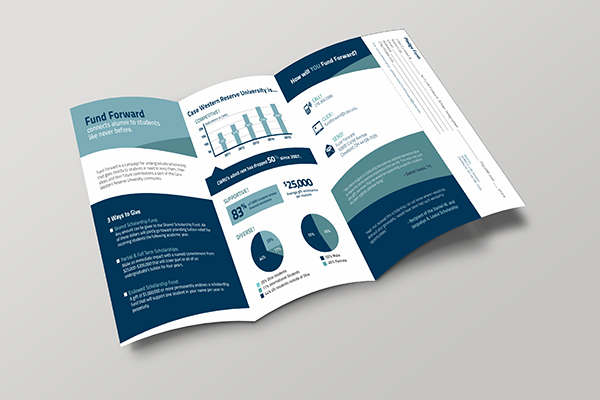 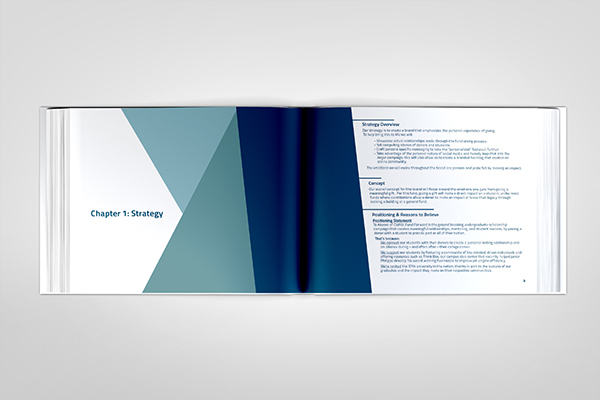 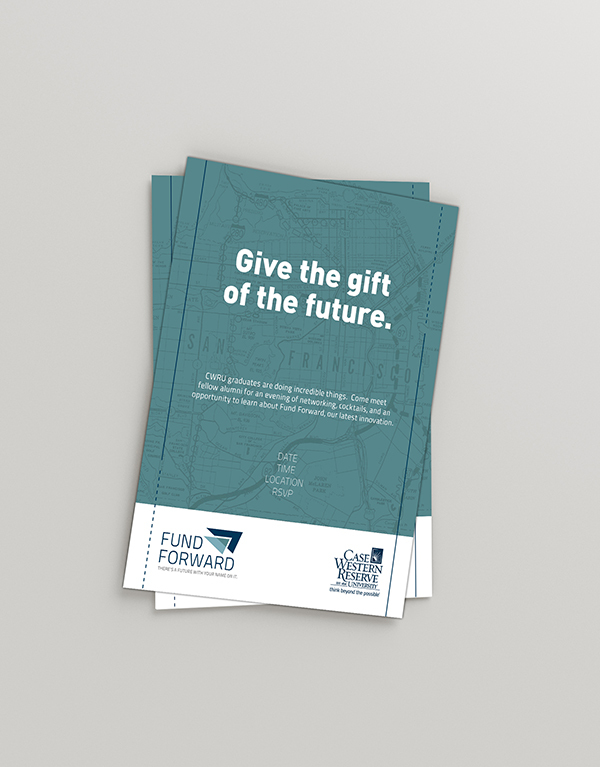 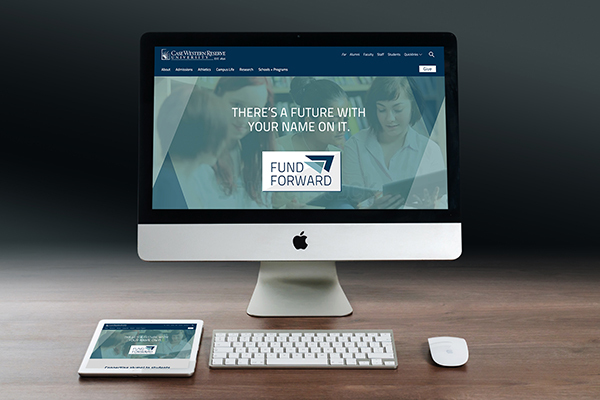 We came up with “Fund Forward” and campaigned around the slogan “There’s a Future With Your Name On It.” We developed their brand strategy, full identity and collateral to roll out their 2015-2016 fundraising campaign.